Taking the whole family on vacation to New Orleans? We offer a kid-friendly and just-scary-enough Ghost Tour of NOLA. Our spooky city isn’t just for adults! And the little ones may just learn something along the way! Taking the whole family on vacation to New Orleans? Our charming city isn’t just for adults! We offer a kid-friendly and just-scary-enough Ghost Tour of NOLA that the whole family can enjoy. All ages of chill-seekers will love this guided tour of the French Quarter, a neighborhood brimming with eerie secrets and supernatural activity. 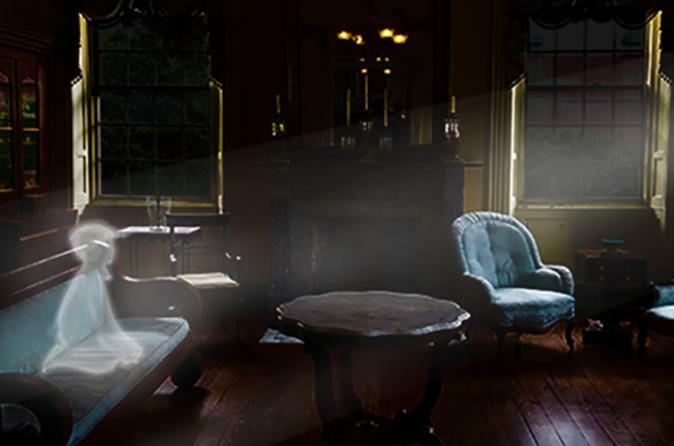 As you walk to some of the most haunted locations in the city, experience spooky stories and unexplained events—all made appropriate for adults and kids alike. We’ll take you and the little ones on a 2 hour storytelling adventure through the beautiful- and haunted- French Quarter that your kids will talk about the whole way home! Your stops will include the LaLaurie Mansion, the Andrew Jackson Hotel, Muriel's Restaurant and so much more. Please remember that children must be accompanied by an adult. We ask that you check in for the tour at least 15 minutes early for everyone's courtesy - the tour leaves on-time. Your tour guide will contact you via text message before the tour to help you locate them. A restroom break will be provided in the middle of the tour and - we promise - that part won't be scary! The tour ends in a different place from where it began but no need to worry, we will help you with directions to your next destination. New Orleans weather tends to change drastically. For this we recommend bring along an umbrella which is good for rainy days but can be used for shade on those hot days. Comfortable walking shoes should be worn and keep in mind there will be extensive standing and walking for 1.5 to 2 hours. We recommend bring along bottled water - especially on those warmer days.